This week is FULL of crafty fun - I am having so much fun sharing it all with you! 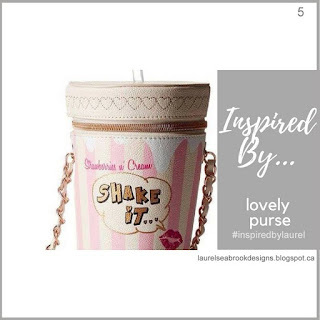 Today I am designing for the Inspired By challenge - with Laurel Seabrook & Co. ! This card came together very quickly, as I grabbed some awesome Project Life cards and some retired Stampin Up paper scraps and got to work! I made a little shaker filled with glitter and sequins galore! The fun little streamers are created using a die from Reverse Confetti - I use it alot for any birthday/celebration card! This CAS little shaker is on it's way to someone super sweet! I hope it brightens her day! So, now it's your turn! Let's see what inspires you about the cue card this week! There is even a prize package this week from Simon Says Stamp! So be sure to link up your design and play along! Wonderful card! So happy you are on the team! Thank you Laurel - we have some amazing talent - tons of inspiration! I can't wait!